A modern tree stand that adds a little flare to the contemporary home, that is the family tree stand with its unusual shapes and asymmetric, exciting lines. A trendy combination of wood and metal makes for a very reliable frame. Extremely stable and easy to tighten. Ideal for fresh real Christmas trees but also works for artificial trees. Four removable legs for easy storage after the holidays. Holds any tree up to 10 ft. and max truck diameter 7.44"
Max. Tree Height 10 - 11.9 ft. When the holidays arrive, time should be spent enjoying the company of family and friends – not stressing over holiday décor! The Holiday Aisle loves the joy and excitement that comes with decorating for each special day, and strives to make it easier than ever for customers to find all they need in one place. With a selection spanning every seasonal celebration in an array of enchanting styles, The Holiday Aisle makes it simple to start creating lifelong memories. When you buy a The Holiday Aisle Family Christmas Live Tree Stand online from Wayfair, we make it as easy as possible for you to find out when your product will be delivered. Read customer reviews and common Questions and Answers for The Holiday Aisle Part #: W001204555 on this page. If you have any questions about your purchase or any other product for sale, our customer service representatives are available to help. Whether you just want to buy a The Holiday Aisle Family Christmas Live Tree Stand or shop for your entire home, Wayfair has a zillion things home. Based on 214,668 total reviews. This tree is the perfect addition to our smallish living room! Fresh out of the box I was a bit worried, but after 30 minutes of fluffing branches, it transformed! I'm so happy with it. When I ordered it I actually thought it didn't have any lights, since we had our own. But it was actually prelit with white lights. Fine with me, saved me a step! They are the type that if one goes out, the rest stay lit. I've had major problems with pre-lit trees in the past with entire sections going out, so that was a plus. The stand was very sturdy and not wobbly or leaning a bit. Overall, I LOVE it. I feel it was a fantastic buy! Here is the picture of the wreath I received....nothing like the photo! After purchasing real trees for so many years, I decided to purchase this pencil tree because of clean up, space, and to be able to decorate on my own time. It arrived 5 days after placing order, this included weekend. The tree stand has plastic covers on the bottom of the legs but may need some other type of slider cover if you have hard wood floors like I do, although it is fairly easy to pick. Besides the tree stand it comes in 3 parts, I found the top part was a bit tougher to put into the middle part-you really need strength to push it in or slightly hammer it into place. Directions were legible. After fluffing it out, it looked decent to me. I like the height and the light weight of it because it is easy to move around. Overall I am happy with my purchase because it fulfilled my need to take up less space. I had a very hard time finding a slim tree with multicolored lights in stores. I was hesitant to order online without seeing it 'in person,' but am happy I did. This tree was easy to assemble and looks great! Take a look at my picture and see for yourself :) Merry Christmas! Not looking the same for the price really shoddy! Take back the one star rating. I had not ‘fluff up’ the tree after I did it looked great. OMG! This is the best tree I've ever owned, and I've owned many in our 40 years of marriage as I put up between 14-20 trees every year. I replaced our great room tree with this one, and was more than pleased. It has multiple light settings, from colored to white, to fade in and out between the two, flashing and more. I loved it so much that I bought one for each of our two married daughters! I’d like to start by saying that I am a Christmas fanatic, so I’m incredibly picky when it comes to purchasing a new artificial Christmas tree! We needed a slender, but not skinny, tree for our home. I hunted for months trying to find the perfect one that also wasn’t going to cost a fortune, and we were not disappointed. The tree is incredibly easy to assemble. It comes in 4 sections labeled A-D. It is pre-lit, and the lights are beautiful and plentiful! I’d also like to mention that the tree is very full, you cannot see the pole in the middle! My parents were so impressed, that they are purchasing one also! These are nice size presents and the fact they light up makes them very special. They can be indoor or outdoor too! I order this tree for my daughters bedroom - we love it! It is small and compact, which is just what we were looking for. Increase the beauty in your home with Rolling Artificial Tree Stand. Enjoy the elegance it will add, as well as all of the compliments it will garner throughout the year. This stand has the capacity to hold up to 80lb 7.5-foot tree with 1000 lights. 78" green cord is attached to the outlet. There is an on/off switch at the base of the tree stand which allows for two functions: Stand can rotate with lights on or just lights on with no rotating. Unique design allows the tree to rotate with absolutely no cords tangling. Rated 5 out of 5 stars.40 total votes. This Ornament Tree stylizes the home while displaying and organizing ornaments, jewelry and much more. The tree makes for beautiful decor at parties and events and is perfect for unique holiday decorating or to use year-round. Each level of branches is one piece and screws onto the trunk of the tree. 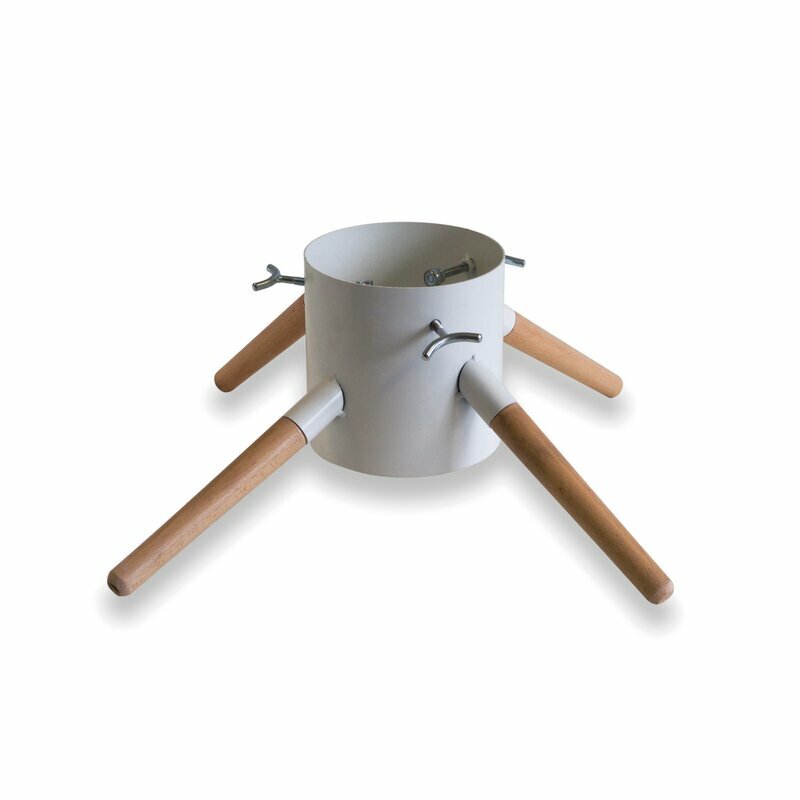 This folding metal Artificial Tree Stand is for use with artificial trees with center poles. This stand features sturdy steel construction and folds flat for convenient storage. Includes thumb screw for securing stand to tree pole. Rated 3 out of 5 stars.56 total votes. Increase the beauty in your home with replacement parts tree stand. Enjoy the elegance it will add, as well as all of the compliments it will garner throughout the year. these stands are for smaller trees that have little knobs at the bottom, the little knobs at 2"
Increase the beauty in your home with Artificial Tree Stand. Enjoy the elegance it will add, as well as all of the compliments it will garner throughout the year. Rated 4 out of 5 stars.106 total votes. 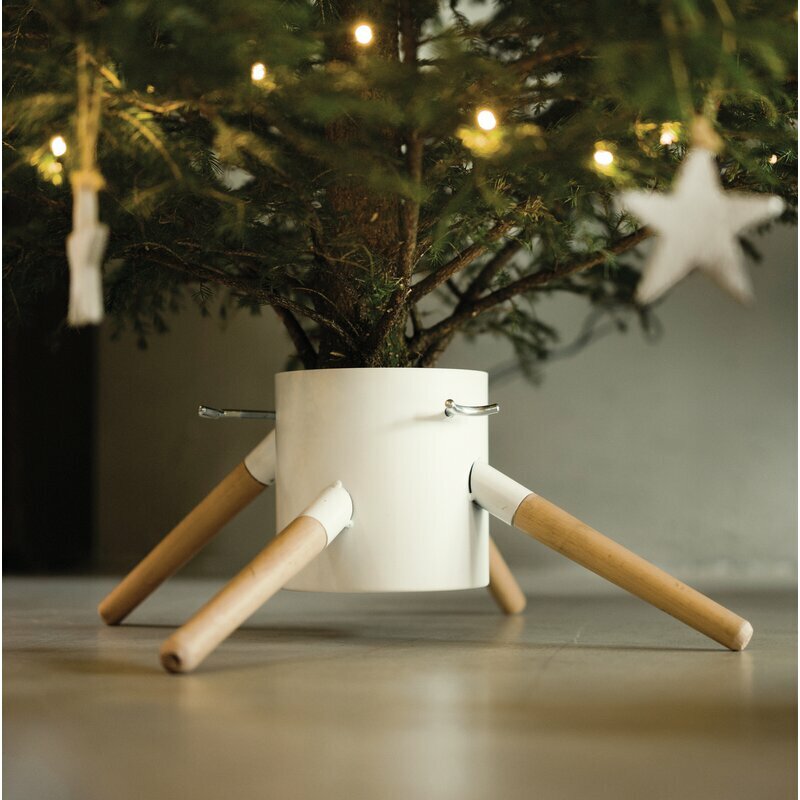 Deck out your space in festive holiday spirit with this artificial Christmas tree stand! Crafted of sturdy steel, this tree stand sports a forest green finish to blend in with your tree. Designed to fit artificial Christmas trees from 6' to 7.9' tall, and less than 3' diameter, this stand features a 1.25" opening complete with a tightening screw. When the holiday season is over, and it’s time to take down the tree, this stand’s four legs fold flat for effortless storage. Rated 4 out of 5 stars.12 total votes. The Drymate® Christmas tree mat is the perfect solution to protecting floors and carpets during the holiday season. Place this waterproof mat under your Christmas tree stand for worry-free watering. The super absorbent top layer collects drips and spills, while the waterproof backing prevents soak through, keeping moisture away from surfaces below. Made from a soft, pliable material, the Drymate® Christmas tree mat can be stored compactly with other seasonal decorations. Machine washable for easy clean, this mat is also durable and long lasting so you can re-use for many holidays to come. Rated 4 out of 5 stars.11 total votes. Rated 4 out of 5 stars.30 total votes.